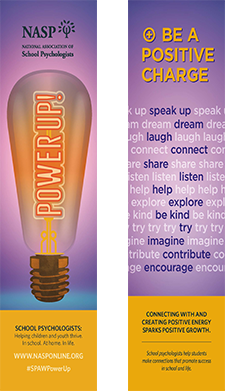 Designed as part of the 2017 School Psychology Awareness Week program, these bookmarks are perfect for system-wide discussions about working together to create positive energy and growth. Need to mail in your publications order? Download our Publication Order Form (PDF).